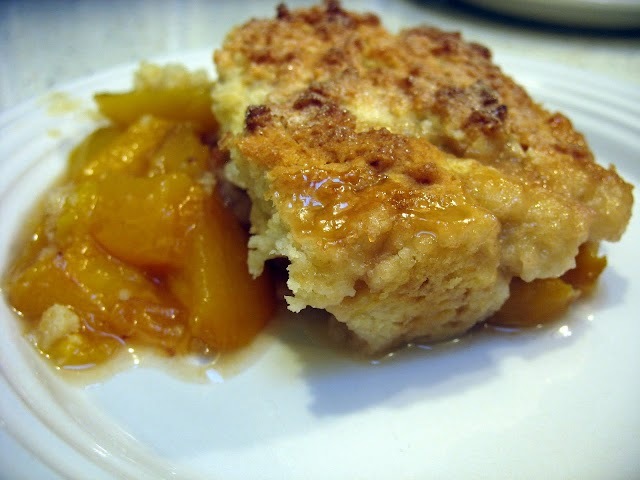 Even busy girls like to cook something more involved now and then, which is why I am supplying the full from-scratch recipe to my mom’s unparalleled peach cobbler. Putting this recipe together is fairly simple, but you can make it much easier on yourself by using already sliced frozen or canned peaches and a premixed flour mixture such as Bisquick Light. Just add the sugar, lemon, milk, egg, and oil blend. 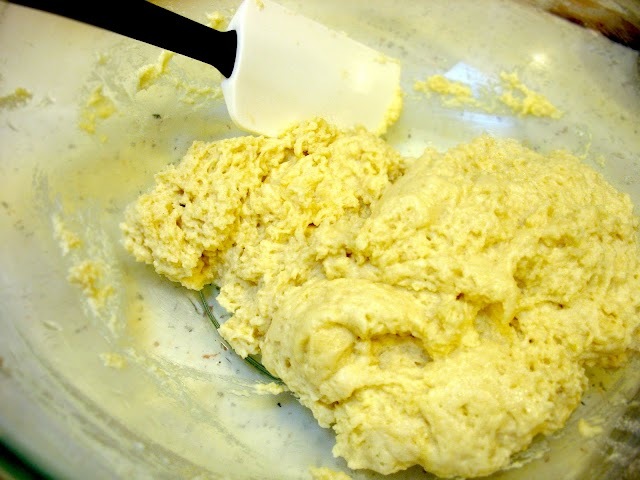 I do recommend that you make the dough from scratch, however, because the premix version just isn’t the same. This is not the exact recipe–I’ve altered it to fit the dairy-free lifestyle and made it healthier by eliminating butter and substituting the sugar with Splenda. One cup Splenda instead of one cup sugar = a lot fewer calories. Likewise, 4 tablespoons of a non-hydrogenated solid oil blend like Smart Balance or Earth Balance eliminates an entire cup of unhealthy fats. You can use one cup of sugar and 1 cup of shortening (which is what the original recipe calls for), but my version is amazing and much less fattening. With the suggestion of my mom, I’ve also substituted peach schnapps for almond extract. The result is divine. Open bag of sliced, skinned, frozen peaches. Rinse three cups worth under water to remove ice and set in bowl containing one tablespoon of lemon juice. 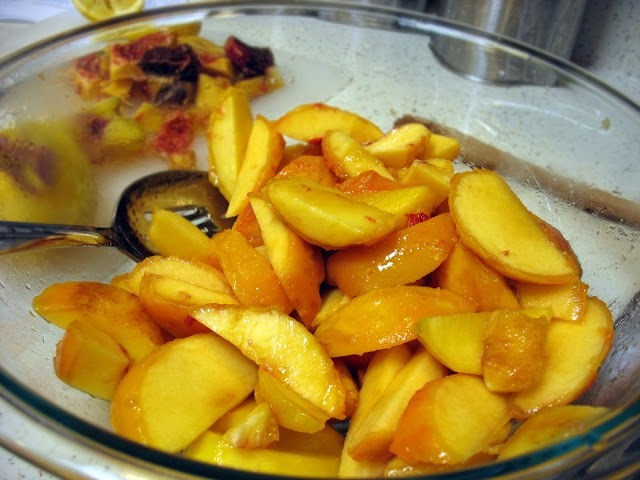 If using fresh peaches, which is the tastier way to do it, the easiest way to skin them is by parboiling. 1. Bring a large pot of water to a boil. Meanwhile, rinse the peaches. Slice an “X” on each peach to create an easy opening for skin removal. Place peaches in the boiling water for one to two minutes depending on ripeness. Remove with a slotted spoon and immediately place in ice water to stop them from cooking. After they are cool enough to handle you can remove them from the bowl. Drain the ice water and replace it with one tablespoon of lemon juice. The skin from the peaches should come off easily as you start removing from the X. If you have trouble, just get the rest of the skin with a peeler. Peel the skin and pit the peaches, slice and add to the bowl with lemon juice. Ready to make your cobbler! 2. To your bowl of sliced peaches and lemon juice, add Splenda, lemon zest, and peach schnapps. Stir peaches until evenly coated. Pour mixture into a 9inch square baking dish. 3. Preheat the oven to 400 degrees Fahrenheit and place the peach mixture in the oven to warm while you mix the dough. 4. In a large bowl, whisk together flour, baking powder, and one tablespoon of real sugar. 5. Melt your 4 tablespoons of oil blend such as Earth Balance in the microwave for 20 seconds. 6. Combine soymilk, oil blend, and lightly beaten egg in small bowl, then add to flour mixture and stir until smooth. The mixture should be light and fluffy. 7. 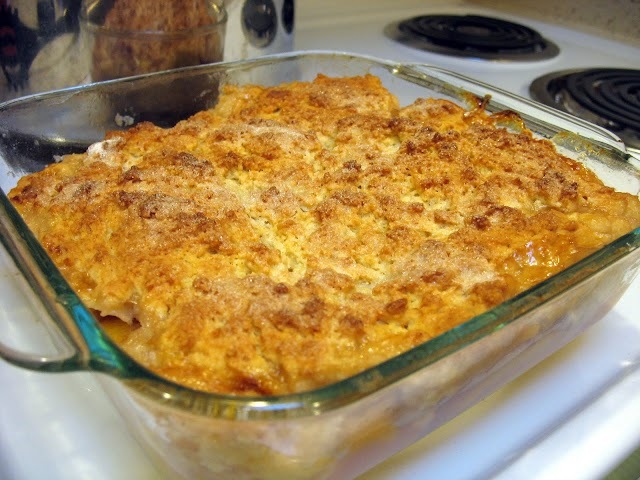 Take the peaches out of the oven, and spoon the dough on top, forming as even a layer as possible. Sprinkle the remaining 2 tablespoons of sugar on top. 8. Bake for 35 minutes, or until brown. Enjoy your peach cobbler warm by itself or with dairy free vanilla ice cream! Mmm.